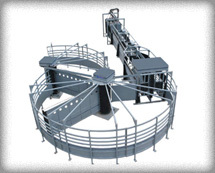 SILENCER Commercial Pro model (also available in extended model) is designed for high volume and heavy usage of cattle through the chute. 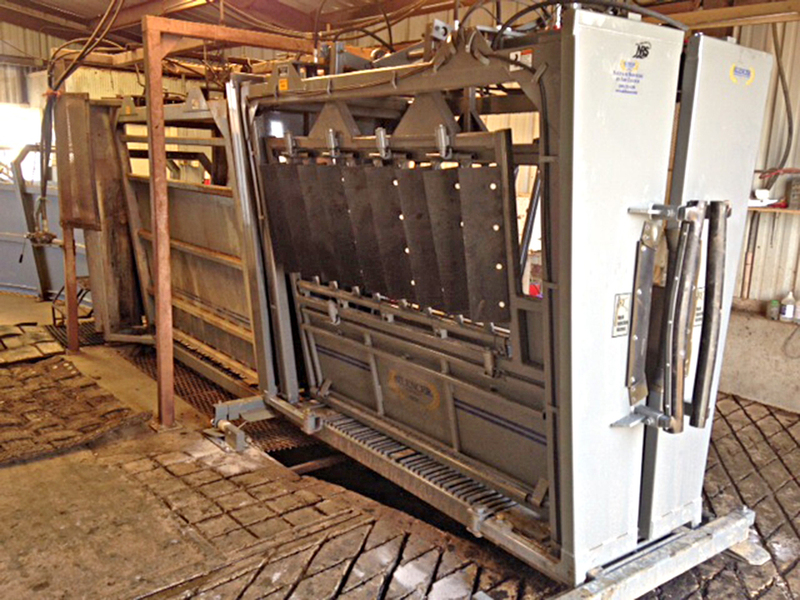 Best suited for large volume cattle operations. 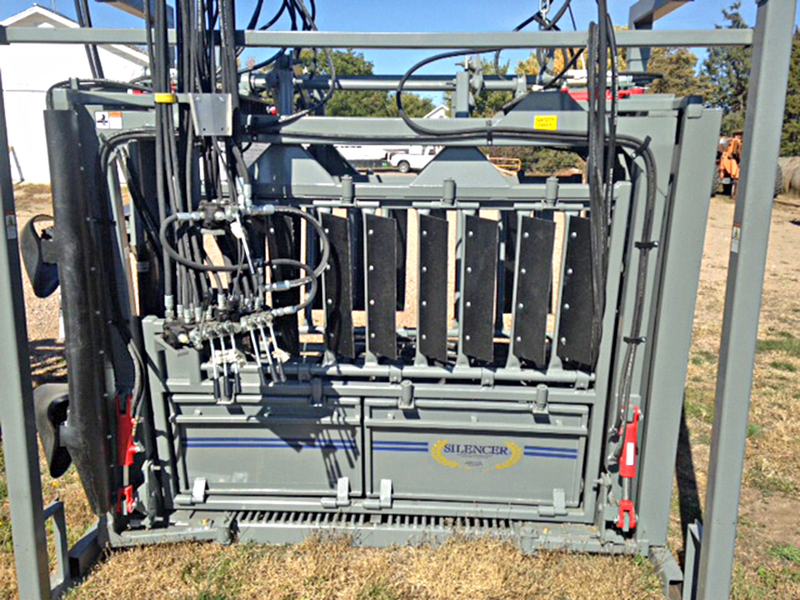 Yearling option – Same overall SILENCER dimensions with a lowered dropbar area for more body access on lightweight cattle. 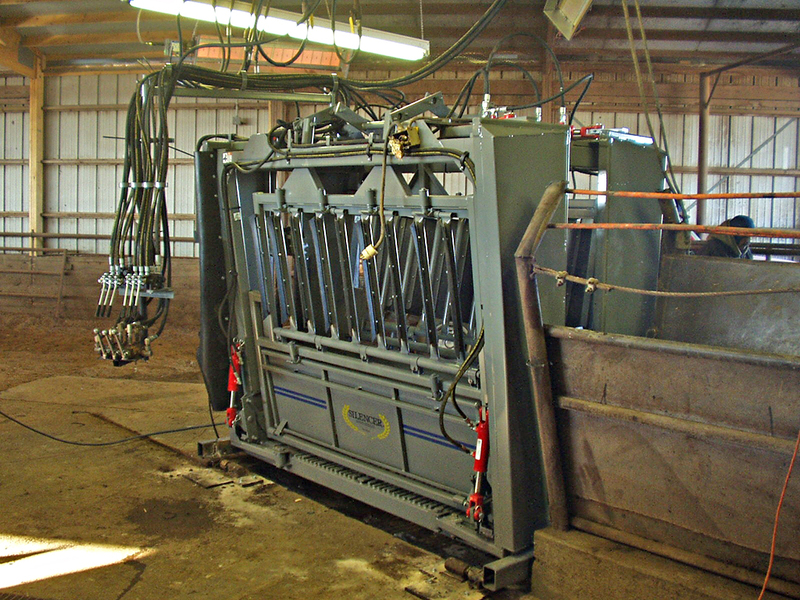 Chute is also available with 1-side yearling option and 1-side regular sidegate. 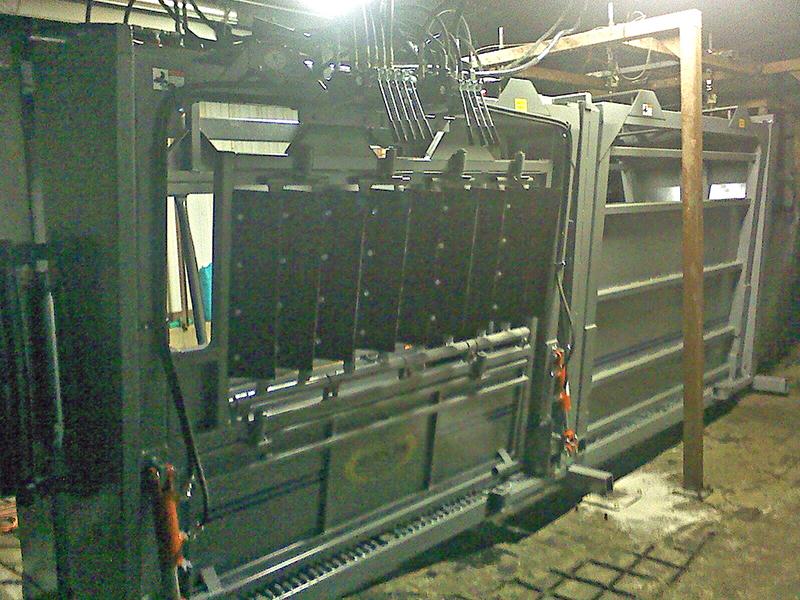 Ranch Model and Extended Ranch Model have left or right controls or Pivot Controls from side to side or front to back. Add a carrier for a quick, portable chute. Each chute comes with a one-year warranty. 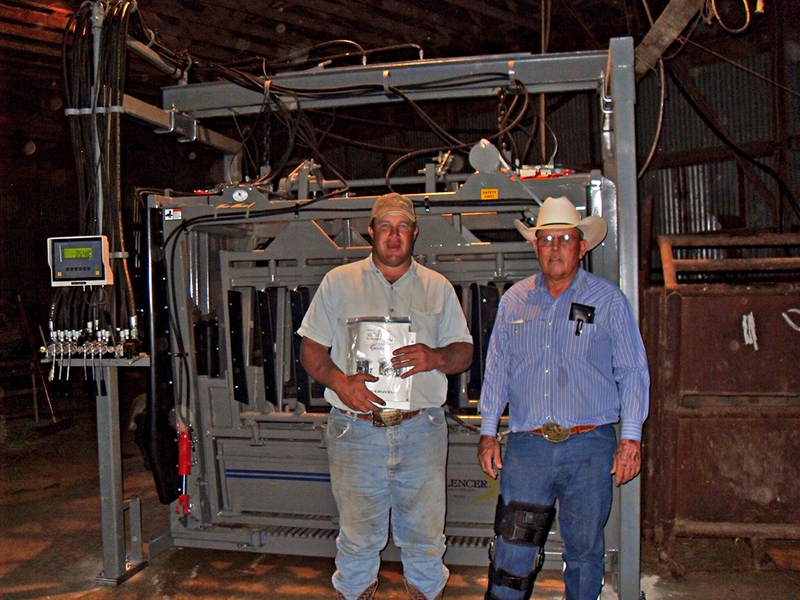 "My Silencer Has Made Cattle Work Fun Again"
I wanted to drop you a quick line and thank you for all the help getting my chute. I used it all fall, with all ages of cattle, and I can’t believe I did not get it years ago. It has made cattle work fun again and all my clients like it too. Thank you for all of your help!